On my way to meet someone for drinks this past week, I accidentally stumbled upon FIT, The Fashion Institute of Technology. My love of fashion, avid curiosity, and desire for adventure led me to check it out. I went inside and found a small (and free!) student exhibition called The Movement: 150 Years of Design Innovation. I LOVE a good bustle. It always amuses me how women wanted their bottoms to appear larger back in the Victorian era. I believe my large derrière would have served me well during this time period. 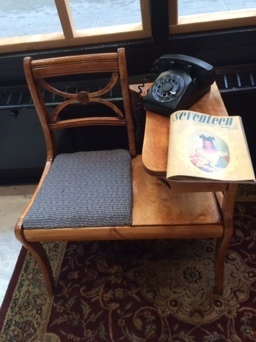 This 1940s gossip bench was built for functionality — it included a tabletop for a phone and a drawer to hold a notepad or phone book. The first Seventeen Magazine, as seen on the gossip bench, was published in 1944 for girls ages 12-19. In 1947, designer Christian Dior rocked the fashion world with the launch of the “New Look” featuring higher hemlines, fuller skirts, and smaller waistlines. Women’s fashion was never the same. The 1960s brought forth the next frontier: space travel. 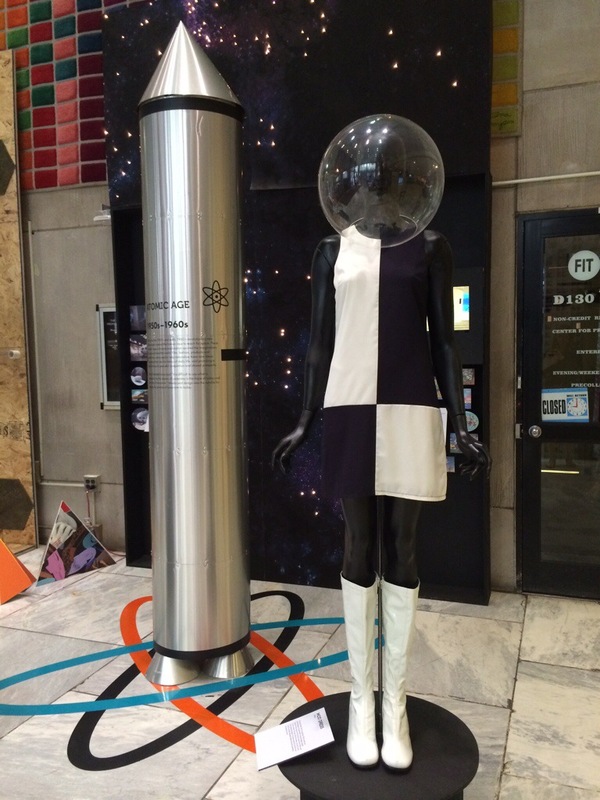 With space travel, futuristic mini skirts and mini dresses became all the rage. 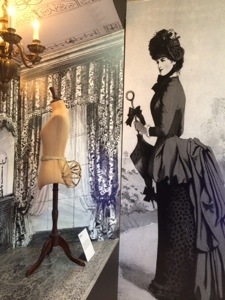 Isn’t the history of fashion fascinating? You can tell so much about a particular time period just from studying the garments. 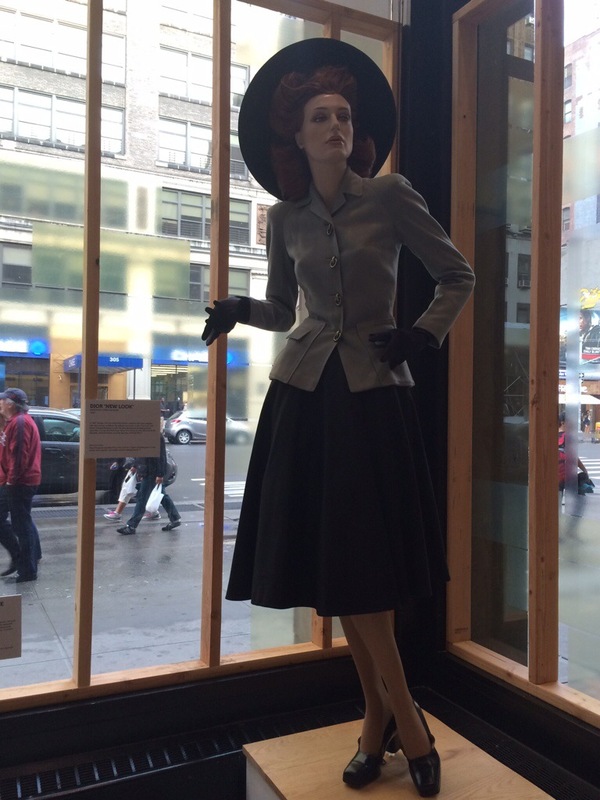 My next adventure also features the history of fashion… Up next: my trip to the Met!